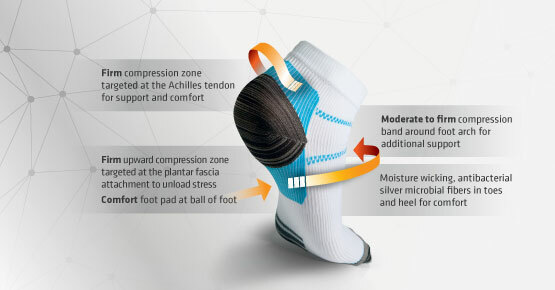 Designed with targeted compression zones to aid in the pain management and relief from plantar fasciitis, Achilles tendonitis, heel spurs, arch pain, sports performance and recovery. 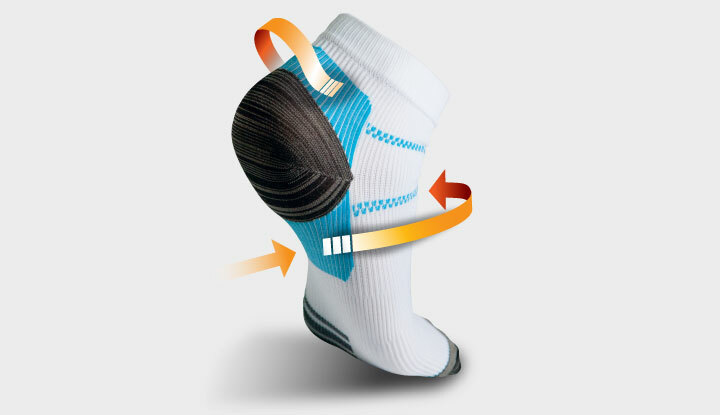 Ideal for sports or those on their feet all day. Provides heat therapy, increased blood flow to the feet and comfort designed for diabetes, arthritic pain, cold and sensitive feet. Ideal for extended periods of wear around the home or whilst sleeping. 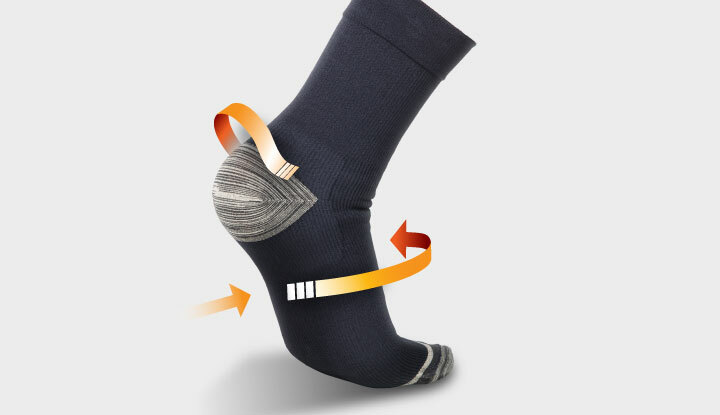 Designed with targeted compression zones to aid in the pain management and relief from plantar fasciitis, heel spurs and arch pain. Ideal for sports or those on their feet all day. 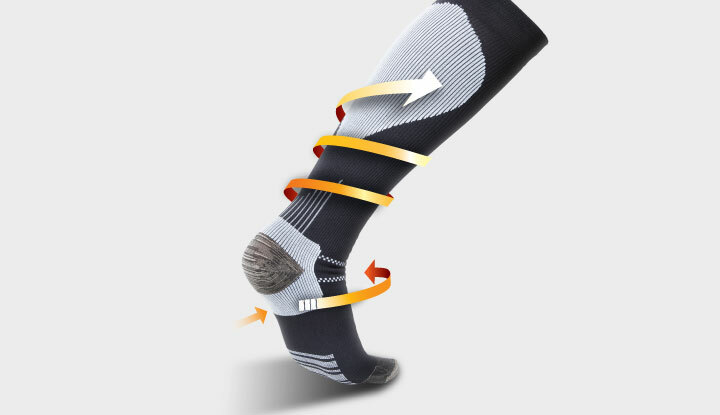 Anatomically designed compression zones target the feet and calves, for the advanced pain management of plantar fasciitis, Achilles tendonitis, arch pain and heel spurs. Also ideal for sports performance, sports recovery, shin splints, standing or sitting all day, travel, varicose veins and swollen or tired aching legs. 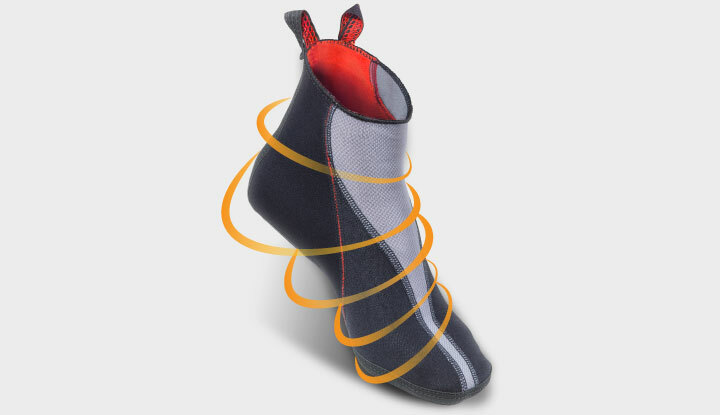 Designed with targeted compression zones to aid in the pain management and relief from plantar fasciitis, heel spurs and arch pain. Ideal for those on their feet all day. 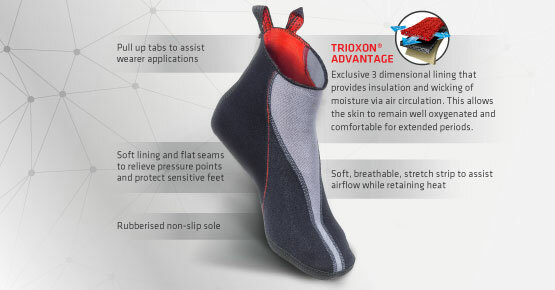 Provides heat therapy and increased blood flow to the feet, whilst wicking moisture for breathability and comfort. Suitable for diabetes, arthritis pain, Raynaud's syndrome or cold and sensitive feet. Ideal for extended periods of wear around the home or whilst sleeping.